Plus learn how to develop and implement a real trading plan. The S-Trader Academy brings you true trading development programs based on ideas that work. Our programs are developed by genuine industry professionals with institutional-level training and experience in such areas as market analysis, research, trading or derivatives pricing. Our program gives you access to quality on-line learning materials pertaining to a number of relevant topics. In addition, on-line webinars ran by our instructors give you the hands-on perspective you need in order to develop the skill of practically applying the theoretical concepts you acquired through self study. A license to the S-Trader Desktop Platform – Ultimate Edition. Be able to build, implement and monitor a trading plan. This is an invaluable tool for traders and investors at all experience levels. In many ways this is the “bible” in the field of technical analysis. In John Murphy’s latest book, Technical Analysis of the Financial Markets, he takes the principles from his 1986 best-selling book and expands it to cover all the financial markets. 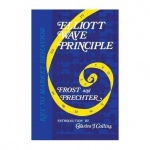 Written four decades ago and now in its 10th edition, this book by Frost and Prechter remains the definitive textbook on the theory and application of the Elliott Wave Principle.